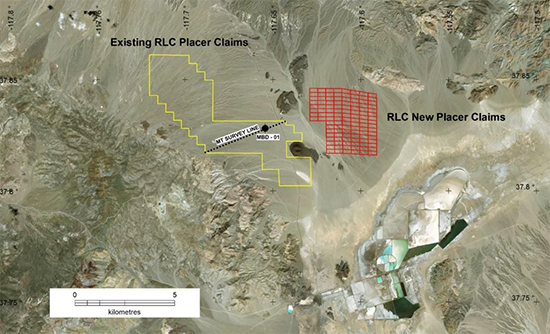 Reedy Lagoon Corp (ASX:RLC) has staked 112 additional placer claims over an area of 906 ha to form the Clayton Valley project in the northern part of Clayton Valley, Nevada, USA. Using information obtained from the recently completed MBD-1 drill hole at its nearby Big Smoky South project, RLC has staked these new claims over an area which it believes has potential to trap lithium brines. This drilling at Big Smoky South generated a significant amount of technical data relevant to understanding the location and geology of lithium brines in Nevada. The project remains prospective for lithium bearing brines and further work is planned to assist with ongoing drill target selection. This work is likely to include geophysical surveys designed to build on the structural information drill hole MBD-01 has provided and to improve drill hole targeting. The map below shows the Clayton Valley Project (New Placer Claims) and the Big Smoky South Project (Existing Placer Claims) that are located to the north west of Albemarle Corp’s (NYSE:ALB) Silver Peak lithium brine operation in Clayton Valley. RLC will undertake a program of geophysical surveys to evaluate the newly staked ground once its claims are registered. Geophysical surveys are also being planned for the Alkali Lake North project and parts of the Big Smoky South project. 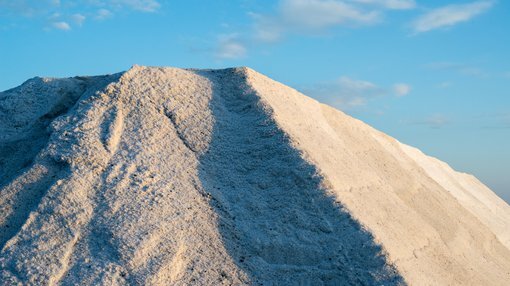 RLC has three lithium brine projects in Nevada, USA : Columbus Salt Marsh, Big Smoky South and Alkali Lake North. Recent drilling at Columbus Salt Marsh (CBD—01) intersected significant volcanic ash and tuff but assay of brine samples collected were uniformly low. Permitting is in place for drilling at Alkali Lake North.